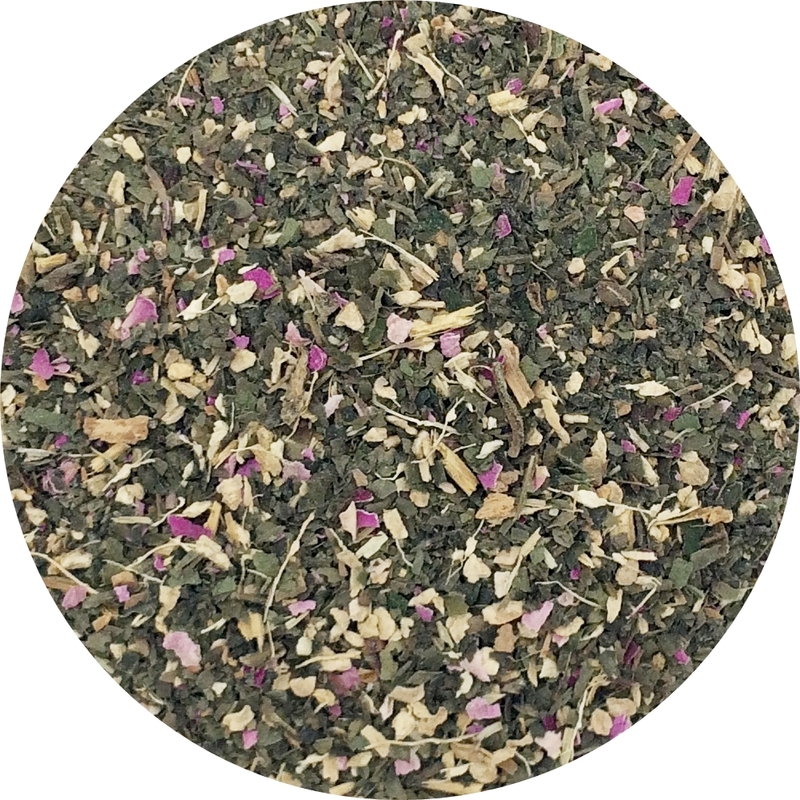 Firsd Tea’s CBD tea is a blend of green tea, herbal ingredients, natural flavorings, and CBD. Cannabidiol (CBD) is a hemp-derived compound being studied for its impact on mental clarity, anxiety reduction, anti-inflammatory effects, and other properties. Unlike the marijuana-derived THC, research has not found indications that CBD has psychoactive (i.e. “high”) effects. Green tea, ginger root, lemon peel, peppermint, licorice, blackberry leaf, natural lychee flavoring, rose petal, hemp-derived CBD oil.